Two weeks ago, I woke up anxious and texted my best friend. I’d just had a dream in which her boyfriend hosted a party to propose and I couldn’t make it. She texted back flabbergasted and explained that in the middle of the night her boyfriend had gotten down on one knee and proposed (with a hair tie). It was unplanned. There was no way I could’ve known! What did it mean? 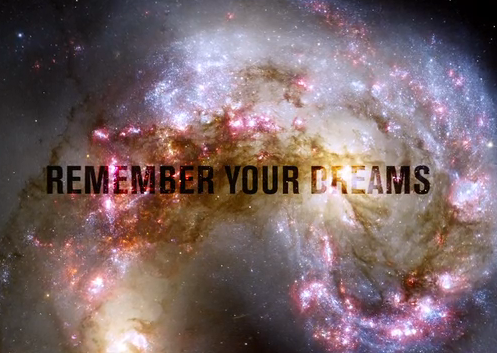 Unfortunately, with our limited understanding of dreams, we may never know. There are currently 7 billion people in the world dreaming every night, but we hardly remember our dreams, let alone try and make sense of their patterns and how they relate to our well-being. Human dreaming, the collective subconscious, is one of the largest data sets in the universe, yet we’re doing very little to track, quantify and understand it. And as the quantified self movement shifts into high gear, how important will our dreams be to fully understanding ourselves? Soik is the founder of SHADOW, a “Community of Dreamers”, which is launching a campaign today on Kickstarter to raise funds for its new mobile app. The company plans to build the world’s largest dream database through an app that helps you record and remember your dreams. SHADOW is an alarm clock that gradually wakes you up with escalating alarms. Once you’re done hitting snooze, the app prompts you to record what you remember of your dream either by speaking directly into the app or typing. The app then uploads all your data into a private dream journal that analyzes and visualizes your long-term dream patterns in hopes of delivering a better understanding of your dreaming self. As a dreamer, you’ll have the choice to keep your dreams private, share them with friends or family, and push them to the cloud. If you choose to share, your dream joins an anonymous data cloud and SHADOW uses natural language processing algorithms and keyword recognition from your dream to identify global patterns. So while the exact details of your dream won’t be recorded, keywords like “black bike” “Berlin” and “Picasso” will. While SHADOW is Soik’s third startup, his career has primarily been in entertainment and fashion. To support SHADOW’s scientific pursuits, Soik formed an advisory board that includes an impressive lineup of dream researchers and neuroscientists from Harvard Medical School and MIT who are committed to following the ethical guidelines of the International Association for the Study of Dreams. Privacy is a big concern for SHADOW — imagine if the dream database was hacked? — so Soik says that his advisors who will help him to set up secure servers, likely in Switzerland. Do we dream differently during thunderstorms? What do people dream about on their wedding nights? Do celebrities dream differently than “normal” people? These are all questions that SHADOW aims to answer. According to Soik, the Kickstarter funds will be used to finish developing the mobile app and receive input from potential users. What platform will SHADOW launch on? What APIs will it connect with? What languages will it process? Soik is leaving that up to his backers. Want to help build SHADOW? Check out the company’s Kickstarter campaign.